Because Playtex likes to keep its customers satisfied, it has designed a unique collection of comfortable T-shirts, Cotton Liberty. You're sure to be enchanted by this white camisole with fine straps. A must-have basic! This underwear will keep you comfortable all day long, no matter what you're doing. It's pleasant to wear and designed to be totally discreet beneath your clothes. Its flat seams and fine cotton fabric make it almost undetectable. A delicate, feminine tank top to snap up right now. 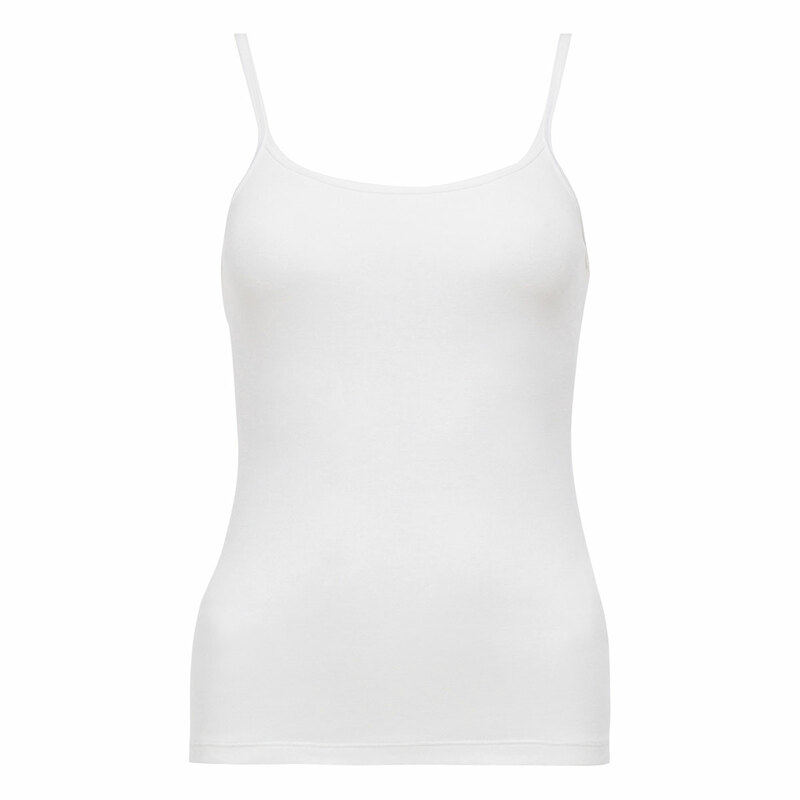 The new Cotton Liberty range from Playtex reveals the classic sleeveless white top. This basic piece of cotton lingerie is the perfect addition to any woman's wardrobe. This delightful tank top goes beautifully with basic cotton briefs. You can mix and match it with style with a red brief, for example, or pants from the Cotton range in your favourite colours.